Discussion in 'Knife Reviews & Testing' started by CPP, Aug 12, 2018. 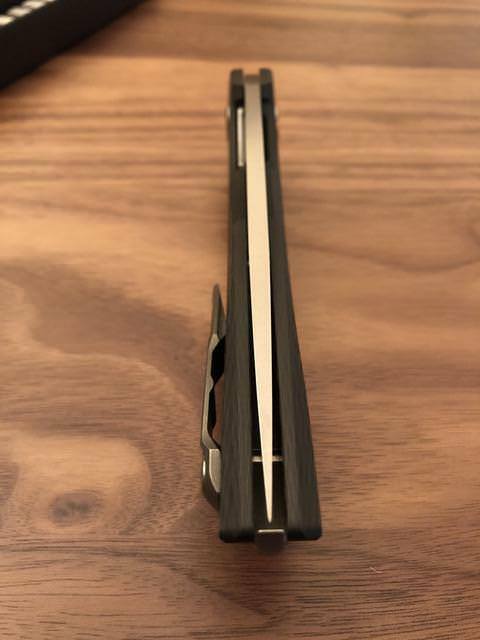 As a serial Shirogorov that I had not handled I was curious to do so in spite of the fact that the 111's size as a folder made it a knife I would not ordinarily be interested in. The free Shiro bead that Recon 1 offered for Father's Day may have spurred from my indecision as my kids neglected to get me anything. 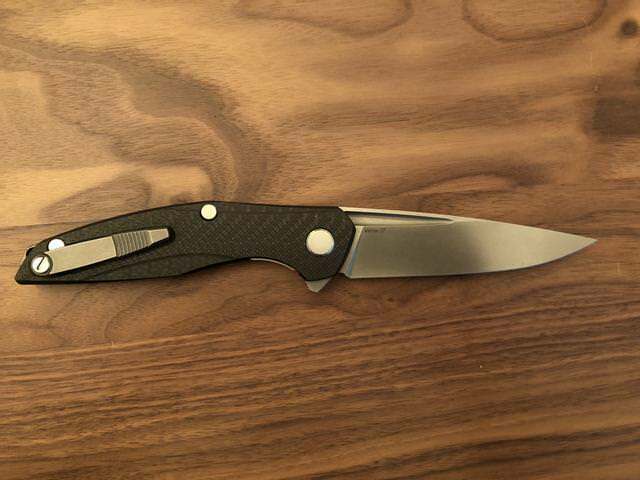 The model 111 I bought has contoured carbon-fiber scales, a Vanax 37 blade complete with a fuller that also serves as an alternative opening method. As you can see in the photo above, the 111 is clearly the largest of the three sizes currently offered in the Shiro serial lineup. The 111 more than comfortably allows a full four-finger grip no matter the size of those fingers–with my medium sized hands it would allow for a six-finger grip were there any practical advantage to doing so. Previously, my Bark River Bravo 1 was my largest knife in both length and girth and was my go to knife for splitting fire wood once it was halved or quartered by ax or for storm cleanup around my yard. 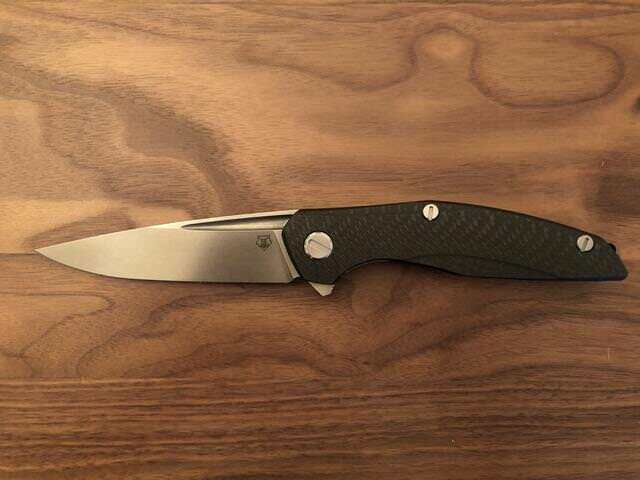 The 111 is longer than the Bravo 1 and yet is lightweight and a nimble flipper. An impressive feat. Of course, I would never be inclined to use the 111 for the Bravo's assigned duties. While longer, the 111 is slimmer allowing it to fit comfortably in one's pocket without being unwieldy. 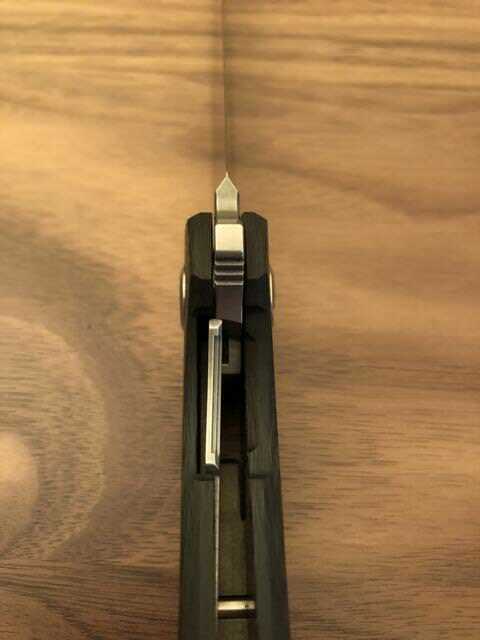 The indentation in the scale underneath the pocket clip is a nice touch making the clip almost unnoticeable in hand. According to Cedric and Ada's Youtube blade steel testing, Vanax 37 is just below M390 in edge retention while outperforming it in stain resistance. I wish I could describe the 111 in action but I have to yet to put it to use as I am unsure whether I'll be keeping it. This post originally appeared in the Bear's Den thread but as that thread is 46 pages long I moved it here for better visibility. ChazzyP, marcus52AR and J D Wijbenga like this. I ended up selling the 111 to a Forum member. Here are the photos to round out this rather truncated review. The new owner has posted photos of the above 111. It feels very strange to see a knife I once owned in someone else's possession even though I only owned it briefly and never did more than open and hold it. Maybe you can trade your kids for one that suits you better (I mean a knife). According to Cedric and Ada's Youtube blade steel testing, Vanax 37 is just below M390 in edge retention while outperforming it in stain resistance. Vanax superclean that Peter reviewed is not the same as vanax 37. Superclean is the newest release that was available in 2017 maybe late 2016. 37 is an older revision of the steel. Currently all the old versions are not being made anymore. In any case those tests do not describe the old steel. Only the new super clean variation of vanax. "As it often happens with new alloys, it picked up several names. 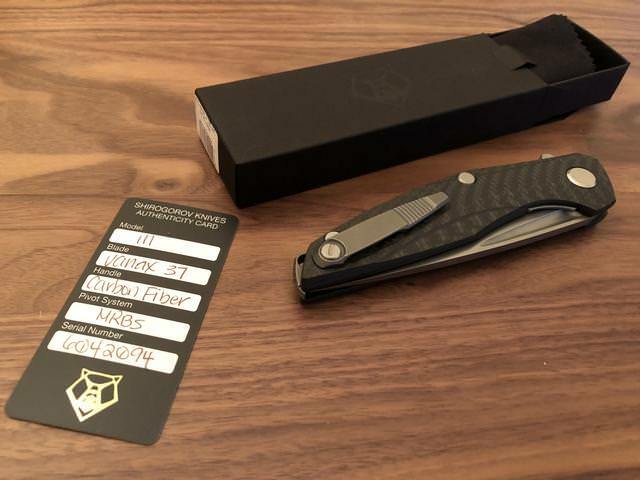 Alpha Knife Supply sells it as Vanax, Shirogorov refers to it as Vanax 37, well so far those are the name variations I was able to find on the net. For the record, the official name used by the maker is - Vanax SuperClean." I used the proceeds from it to fund another Shiro that is just an incredible knife–I managed to keep the kids too. Win–win!